Mascara preferences are a pretty individual thing, but what everyone can agree on is that it's one of the most challenging items to switch when transitioning to natural products. Like a lot of other mainstream makeup, mascara is loaded with carcinogens, hormone disruptors, and other toxins, including parabens, coal tar dyes, talc, petroleum, propylene glycol, aluminum, synthetic fragrance, and formaldehyde releasers. Mascara also often contains shellac, a bug-derived resin frequently linked to contact allergies, and thimerosal, a mercury-based preservative that's been banned in children's vaccines, but is still permitted in cosmetics. I've gotten several emails recently asking for mascara recommendations, so I thought it was about time to share my favorites. Before jumping into the specifics, I do want to say that if you're used to conventional waterproof mascara, it may not be possible to find a completely comparable clean replacement, since the waterproofing ingredients and plasticizers are the very ingredients you probably want to avoid. If you can't completely rule out waterproof, maybe look for a gateway semi-clean formula, or limit it to just special occasions. Since it's such a big determining factor in what makes a mascara work for one person and not another, let's talk about eyelashes. My lashes are pretty healthy and have a natural curl and my eyes can be sensitive and are prone to watering. So, what I look for in a mascara is something that adds volume, maybe a little length, and won't smudge, smear, or irritate my eyes. I've gone through 10-15 tubes of this over the years, no exaggeration, and it remains my fallback "safe" mascara. I know it won't irritate my eyes and I'm confident it isn't going to give me raccoon eyes or flake off throughout the day either. Seriously, me and this mascara have made it through some tough days together - snowstorms, dog baths, emotional drama, and 14-hour days sweating outside as a camp counselor - and it consistently holds up well. The formula is on the drier side and it does a good job coating every lash and adding (subtle) volume. It dries slightly firm on the lashes - though not horrible and crunchy - which I think would help hold a curl as well. 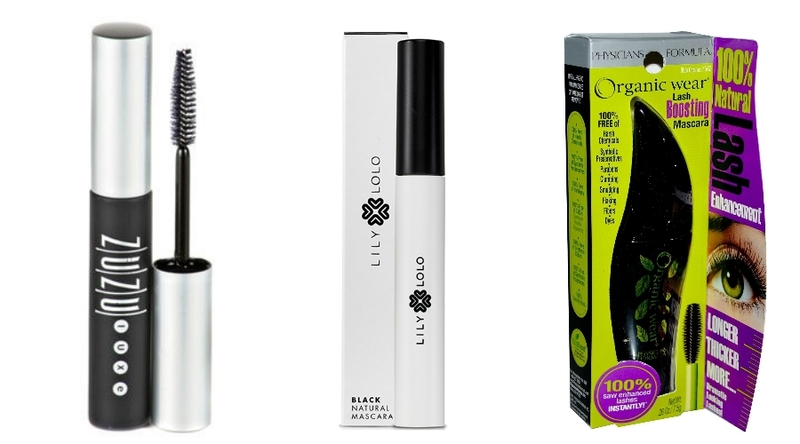 A much more recent discovery, the Lily Lolo mascara gives truly impressive volume and length. One coat looks soft and natural, but add one or two more for seriously amped up, voluminous lashes. The consistency is a little wetter than the Zuzu Luxe, but it's still on the thicker side. The color is a very dark black and the mascara lasts just about all day without issue. I get about 12 hours of perfect wear and then it starts to flake a tiny bit. I couldn't not list Physician's Formula, both because of its easy availability and inexpensive price point. It's not nearly as smudge-resistant as the other two - in fact I struggled a bit in the winter with watery eyes - but as long as you stay relatively dry-eyed, it works well and it does give a beautiful, dark, fluttery lash. I don't know that it necessarily made my lashes grow any more than normal, but they did seem full and healthy, and even slightly conditioned while I was using it. I haven't tried all the OrganicWear mascaras, but this one is without a doubt my favorite of the three or four I have tested. What's your favorite natural mascara? I really like the Lily Lolo one. I should give the other 2 a try! :) I haven't really come across any others that I really like besides the Lily Lolo one. I haven't tried these. My favorite by far is Pacifica's Aquiarian Gaze. I like it better than even conventional mascaras I used to use. love the lily lolo one, it's the only natural mascara i've found yet that lasts throughout a full work day without me having to wipe black streaks away from my undereye. in fact, that's a problem i have with most conventional mascaras as well, so to find a natural one that works is pretty much a miracle. im using the maracuja mascara from 100% pure at the moment, i think id like to try the lily lolo one next though! Yes! The Lily Lolo is so good! The PF mascaras are hit or miss for me - the one in the green tube badly irritated my eyes - but I do like this particular one :) It's funny because the ingredients are exactly the same and the wands are pretty close too, but I find the Zuzu mascara works SO much better for me than the Gabriel.